Points in the paint-IWU 28,HOPE-M 52. Points off turnovers-IWU 21,HOPE-M 16. 2nd chance points-IWU 13,HOPE-M 16. Fast break points-IWU 2,HOPE-M 10. Bench points-IWU 33,HOPE-M 22. Score tied-8 times. Lead changed-3 times. Last FG-IWU OT2-02:10, HOPE-M OT2-00:16. Largest lead-IWU by 7 2nd-07:16, HOPE-M by 13 1st-12:37. 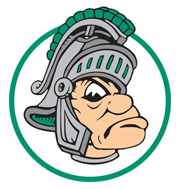 Technical fouls: Illinois Wesleyan-None. Hope College Men-None.